Casa Torano Churchill cigars have a mild, well-balanced blend of Honduran & Nicaraguan filler tobaccos selected for their unique richness. 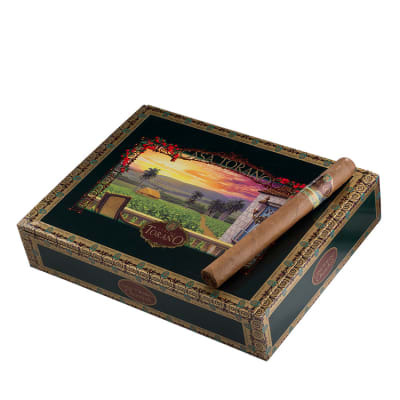 Encased in a vintage Ecuadorian-grown, Connecticut seed wrapper for extra character, this is a luxurious cigar suited for both new and experienced cigar smokers. 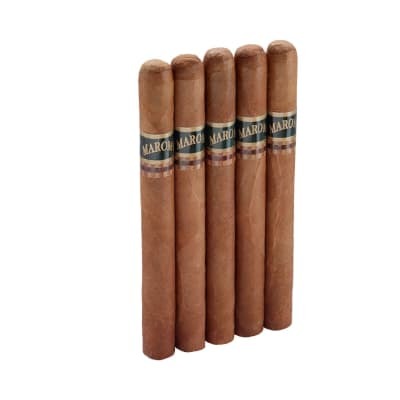 Casa Torano Churchill cigars have a mild, well-balanced blend of Honduran & Nicaraguan tobaccos selected for their unique richness. 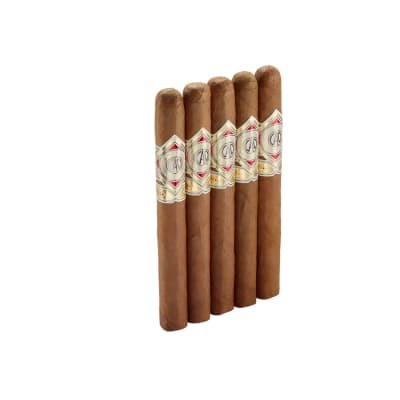 Encased in a vintage Ecuadorian Connecticut wrapper for extra character, this luxurious cigar is suited for both new and experienced cigar smokers. Try the 5-pk first! Excellent flavor if you like milder cigars, kind of woody with a perfect "crispness" to it. Definitely one of my favorites. I am digging this line from Torano, and highly recommend both Churchill and Robusto, although this is a quicker burning cigar, so if you are looking to really savor it, the churchill is the way to go. 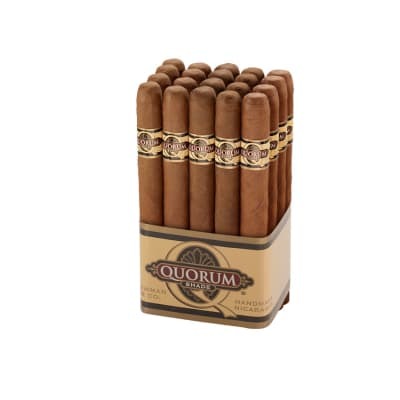 Given the lower price of this cigar, it doesn't even have to be a special occasion cigar, and if you are looking for a cigar that has a mild flavor and doesn't leave a smoky after-taste, this is the cigar for you. It is similar to the Nub Connecticut, though in regular shapes and sizes. I recommend both thoroughly. I lucked out and got on to these through a FSS sampler. Most of the sampler stogies are forgetable, not so this one. I don't know if this is 'the Torano's private cigar', but it should be. Give them 4 to 6 weeks of aging in the wrapped box (humidification device in the box)or humidor and try one of these smooth cigars in the morning then try to think of a reason to skip work so you can have another. Smooth draw, wonderful taste, uniform burn, stays lit. You might find one bad one in a box. 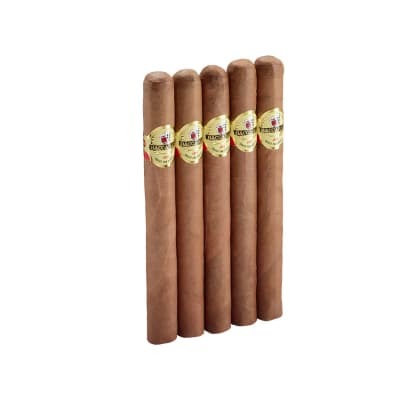 Try the FSS Robusto 5 pack for an inexpensive test. Buy a box and take advantage of FSS's Torano sampler offer.